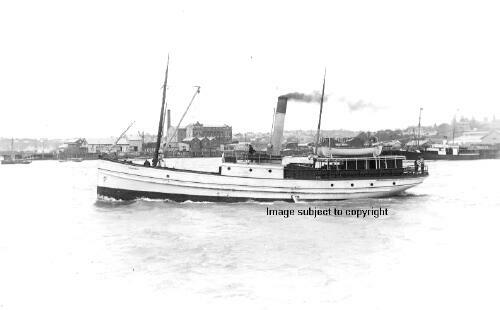 1898 built for Coastal S.S. Company Limited, Auckland. 1905 taken over by Settlers S.S. Company, Auckland. 1905 December 23rd run down and sunk by the CLAYMORE with the loss of 5 lives. Raised and put back in service. 1908 taken over by Northern Steam Ship Company. 1909 August 10th stranded at Mangawai Heads. 1909 August 12th caught fire at Warkworth. Only the engine and boiler were saved. Engines were used in HAUITI.